The past couple of days has seen Niantic drop a ton of news on us for upcoming events so I thought I’d go through each item and give my thoughts on it. All these events ought to keep us occupied for the month of April with little downtime doing the event or getting ready for it. 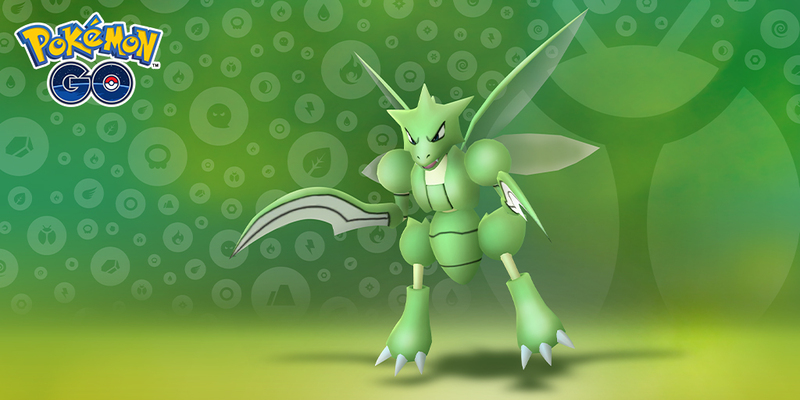 With the Spring Equinox event over and done with, trainers can now look forward to a Bug themed event. From 1pm PDT 02/04/2019 to 07/04/2019 1pm PDT, bug types will have their spawn frequency increased in the wild. You’ll also get Bug themed research tasks, and Incense will have its effects boosted for this event, so expect even more Pokemon when you use it. Incense will also last twice as long, an hour compared to 30 minutes so if you’re hunting for shiny Bug types bring out the Incense! Am I excited for the event? Not as much as the Safari Zone in Singapore but this is a good opportunity to pick up a Shiny Caterpie. I’ve picked up Shiny Pinsir and Pineco and I already have a 100% Pinsir. If they ever release Mega Evolutions, I’d at least have a Pinsir ready for it. So far they haven’t announced any other new Shiny Pokemon to debut during the event so its just those 3. Nor are there any new Bug type Pokemon like Burmy or Wormadam coming out. Speaking of which, I still don’t have a Vespiquen so this event is going to be a good chance for me to get one. I also don’t have a Nincada so I hope some of the research tasks give Nincada as encounters, upon which I’ll be able to get Ninjask. Finally! After so long, we finally get a Bagon Community Day! I thought we were getting one in February but then they surprised us with Swinub Day. It was anti-climatic even though I’m fond of Mamoswine and I needed good Ice types. However the one Pokemon that has always been on my mind is Bagon. Salamence is an amazing Dragon type and when I played the Trading Card Game, a Salamence trading card was one of my favourites. Thus there’s an additional sentimental factor when it comes to Bagon. Niantic has set it for the 13th April 2019, 3-6pm so the new timing is set to be a permanent setting. So is the simultaneous start, Community Day will take place at the same local time for all regions. I can only hope we don’t see a repeat of Beldum Day which saw almost an hour of network outages and Niantic was forced to schedule a make up day. You’ll get the usual 3 hour lures and this time Niantic is giving us triple experience from catching Pokemon so crack those Lucky Eggs for the event! The exclusive move will be revealed closer to the event but its not going to be Draco Meteor since Salamence already knows that move. It could be a fast move too, but I don’t see a fast move that would grant STAB. Its more likely we’ll see a charge move like Outrage or Dragon Pulse. Update on 31/03/2019: It seems like Niantic has pulled the Groudon raids as a reward for hitting 7000 volunteers. No official explanation has been given. Niantic’s second Earth Day event sees them teaming up with various NGOs across the world to promote environmental clean ups! People can volunteer with them and if the number of volunteers crosses certain milestones, players will be rewarded with in-game rewards. 2000 volunteers will result in Ground types spawning more frequently. 5000 volunteers will see Shiny Diglett being released along with more Ground type spawns. Finally, 7000 volunteers will see double stardust and candy from catches, Groudon spawning in raids and all previously unlocked bonuses. Generally I support environmental causes and if Niantic uses in-game rewards as incentives to clean up the environment, then its all for a good cause. If you’re the type who feels like doing a bit more, you can sign up for the events and contribute to saving the environment. Wow, alot of info to process. Thks!